Violinist Stirling is back with her third studio album, her first since 2014’s Shatter Me. That set entered at #2, and it’s looking like she could be in the running for a large sales frame next week. Will it debut at #1? Time will tell. The radio single from it is “Something Wild”, a Hot AC hit that features Andrew McMahon In The Wilderness. Lanez is best known for radio hits like “Say It”, which topped both the Rhythmic and Urban charts, and “LUV”, a song that’s accumulating major gains at those two formats and the Top 40 airwaves. Stream and track-equivalent units are likely to boost its placement on the Billboard 200. With a new joint venture in place, Parton releases her latest studio album. Though she’s far beyond the days of major hits on the Country radio chart, this one will certainly rank high on the albums survey. We’ll see you next week for new releases from Barbra Streisand, Britney Spears, Florida Georgia Line, Ingrid Michaelson and more. They have a “Fever” for big sales. Other releases out this week include: Blondie‘s Blondie 4(0)-Ever: Greatest Hits Deluxe Redux / Ghosts of Download (iTunes), Dolly Parton‘s Blue Smoke (iTunes), Down‘s Down IV, Pt. II (iTunes), Little Dragon‘s Nabuma Rubberband (iTunes), Sturgill Simpson‘s Metamodern Sounds In Country Music (iTunes), Tori Amos‘s Unrepentant Geraldines (iTunes), the original Broadway soundtrack to Beautiful: The Carole King Musical (iTunes) and a various artists compilation, One Love, One Rhythm: The Official 2014 FIFA World Cup Album (iTunes). Coldplay‘s Ghost Stories is looking at a spooky sales frame ahead, but how will it do against Brantley Gilbert‘s Just As I Am and Phillip Phillips‘s Behind The Light? A full preview is coming in seven! One of the newest songs to make onto the dance scene this summer is a bit of a surprise to those who know some previous material by Swedish DJ and EDM artist Avicii. His latest single features a vocal by California-born soul singer Aloe Blacc, best known for a song called “I Need A Dollar”. It never made it to the United States, but it went to #2 in the United Kingdom in the summer of 2011 and was generally big in Europe. Well, the two appear together on a new song entitled “Wake Me Up!”, which is already #1 on iTunes in Australia, Sweden, The Netherlands and four other countries, with a top ten placing in many others. However, it’s not strictly a soul record or a dance anthem, it’s a… folk meets house thingamajigger? I guess that’s the best way to describe it even if it’s not the clearest. “Wake” begins as a guitar-driven track with Blacc delivering his verse, which leads into a steady handclap beat about 40 seconds in, only to transition into a full-out dance song a quarter of the way in. Yet, there’s a simplicity about it as it returns to its original arrangement, and even when you’re ready to rage when the energy of the song kicks in, that portion doesn’t seem as layered or as overbearing as a normal dance song on the radio or in the club. It’s actually pretty likable and will certainly appeal to a broader audience than who the two appeal to individually. So, what gives? With its huge popularity out of the gate, including a decent ranking in the United States, could we be seeing a successful new period mixing the two polar opposite genres? It could very well happen. There are some holes that I’ve missed along the way, but that brief history shows why this fusion of two distinct styles doesn’t even have a name. It’s so scattered about that anybody could give it something and it would catch on. 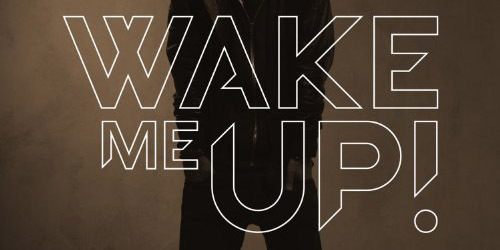 It also shows that “Wake Me Up!” is a totally different case; there are no country acts involved, each genre has an equal place in the composition and it’s not meant for consumption as a novelty song. So, wipe that slate clean, because this is a new beginning for everyone involved, and it’s beginning to pick up rather quickly. 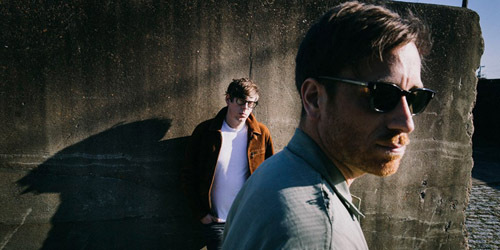 With the rise in folk music in the mainstream consciousness thanks to acts like Mumford & Sons, Phillip Phillips and The Lumineers, among others, it makes sense that it would continue to influence acts and producers creating new material. That being said, no one could have expected this to come out of either act. While the song has its dissenters on both sides of the musical spectrum, reaction seems to be fairly positive, and the early signs of good download numbers in our neck of the woods likely means that the transition onto radio and other outlets may be easier than I’m thinking. At the same time, Blacc has never cracked the U.S. market and Avicii has had some minor chartings on a few radio formats without a true breakthrough. That could change later this year, and if it blows up like it has been internationally, this movement won’t be over for some time. Stay tuned… and don’t fiddle around in the meantime. How do you feel about this new sound from Avicii and Aloe Blacc? Are you a fan? Do you think that country and folk has a place in dance music? Let me know! Comment below or find me on Twitter: @AdamFSoybel. Tagged as Aloe Blacc, Avicii, Cotton Eye Joe, Dolly Parton, Justified And Ancient, Rednex, Tammy Wynette, The KLF, Wake Me Up!